I'm a mature 19 year old whose been a nanny for almost 5 years. Want to connect with Evie? I have been a nanny for almost 5 years. I started as a nanny while being homeschooled when I was 14 years old. I have been a nanny for three families and babysat many children. 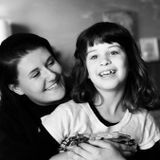 My first time being a fulltime nanny was for a single mom with three Autistic children. I am certified in early childhood education and First Responder/CPR. I am looking for regular nanny/babysitting jobs. I also would love to work in a daycare! I have an open schedule and would love to get to know kids and have a relationship with those I care for and their parents. The easiest way to get ahold of me is text, as I am currently a fulltime waitress, seeking to start back up in caring for children. I am studying at CPCC to become a Nurse Practitioner. I am available anytime during the day!